We are now covering The President Hotel in Bantry Bay, Cape Town. Visting the capital of Pietermaritzburg - try out our Pietermaritzburg accommodation. See Grahamstown when it's a bit quieter than during the festival - here's some Grahamstown accommodation options. Travel East young man - and stay in our East London accommodation. If you don't like St Francis Bay why not try our Cape St Francis accommodation. We are now covering St Francis Bay accommodation. Want to stay in luxury? Camps Bay's 12 Apostles Hotel has won the Travel & Leisure Reader's Award for best hotel in Africa. Well done to The Saxon for coming second & the Cape Grace for coming fourth. Bushmans Kloof Wilderness Reserve won the award for best lodge or resort, with the following South African lodges featuring in the top 20: Sabi Sabi Private Game Reserve (2nd), Singita Sabi Sand & Kruger National Park (3rd), Lion Sand Private Game Reserve (9th), Royal Malewane (10th), Shamwari Game Reserve (11th), Singita Kruger National Park (12th), Londolozi Private Game Reserve (13th), Le Quartier Francais (14th) & MalaMala Game Reserve (23rd). Super-cheap Pretoria accommodation from R120 a night. Join the Mossels at Mossel Bay - take your pick of Mossel Bay accommodation. Let's go see caves & ostritches - book your Oudtshoorn accommodation. Robertson is just before the start of the Karoo and has lovely weather - try out our Robertson accommodation. Take a trip up the west coast - and stay in Saldanha Bay accommodation. Check out Gansbaai or De Kelder - here's our Overberg accommodation options. Go on safari in the Limpopo Province of South Africa, here's where you can get your Waterberg accommodation. British Lions supporters have to hurry out of the Royal Hotel after it cashes alight. Eleven staff members were?transported to St Augustine?s hospital for treatment for smoke inhalation. Go north & here's some accommodation in Upington when you do. Here's where you can find your Cederberg accomodation, when you want to experience this unique part of South Africa's west coast. We're finally covering Cape Town's favourite getaway weekend - Hermanus accommodation. Let's explore the Western Cape Province of South Africa - here's Riebeek Kasteel accommodation options (very limited!). 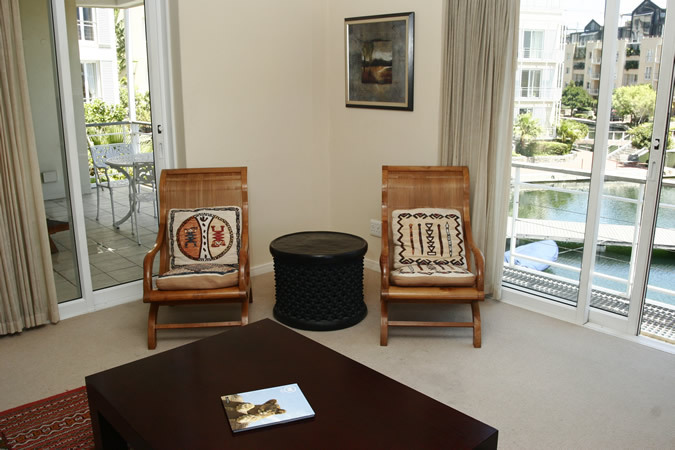 When in Cape Town it's handy to stay near the City Centre - check out Gardens accommodation. Yes, South Africa and Cape Town has a French influence...book some Franschoek accommodation and experience it. Pack your kite-surfing kit and visit the West Coast - here's where you can find Langebaan accommodation. For those of you wanting to come down the Cape & visit Paarl Rock or play Pearl Valley Golf Course, look at Paarl accommodation. We are now covering Wellington accommodation. Survey of prices of hotels in Johannesburg. We are now covering Wilderness hotels. Sol Kerzner's One & Only Cape Town opens. We have set up a dedicated webpage on the Port Elizabeth Protea Hotel Marine. With our cruise to Port Elizabeth courtesy of Starlight Cruises, we are now covering the Courtyard hotel in Port Elizabeth and the Garden Court Port Elizabeth. We're now covering the Protea Edward Hotel Durban. We've done a write-up on the Waterfront Village in Cape Town. City Lodge and Town Lodge are offering some amazing specials. What's interesting is that at the same time as City Lodge and Town Lodge have dropped their prices, other hotel groups (like Protea Wanderers) have actually increased their prices. Review of the Melrose Arch Hotel. They have a number of areas they need to work on, including their appalling internet services and nails sticking out from the skirting boards.